Contains handwritten and typed version. See LET988 for alternate handwritten version. 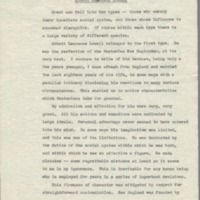 Whitehead, Alfred North, "Abbott Lawrence Lowell," DOC184, Whitehead Research Library, accessed April 18, 2019, http://wrl.whiteheadresearch.org/items/show/1417.